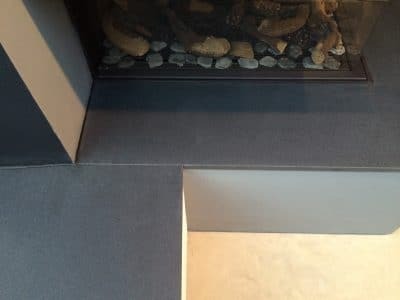 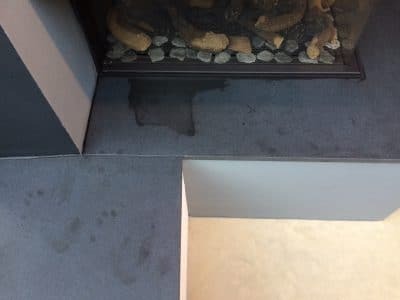 A granite fire place surround has been stained by oil and candle wax leaving a distinctive stain in the living area. 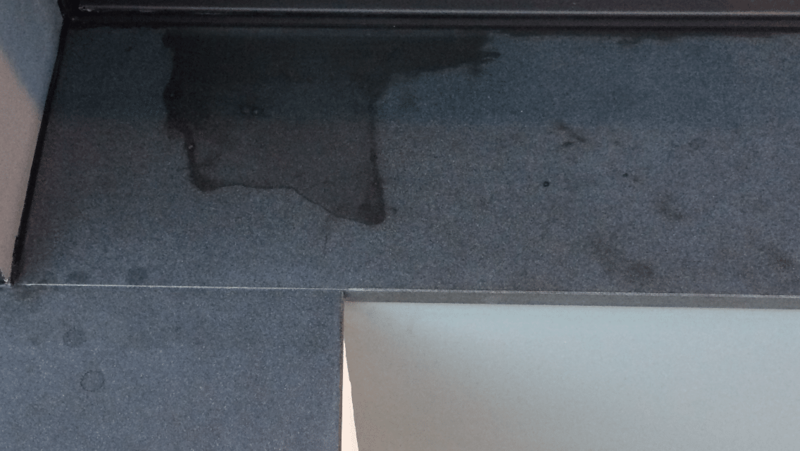 Over view of the stain and finger prints near by. 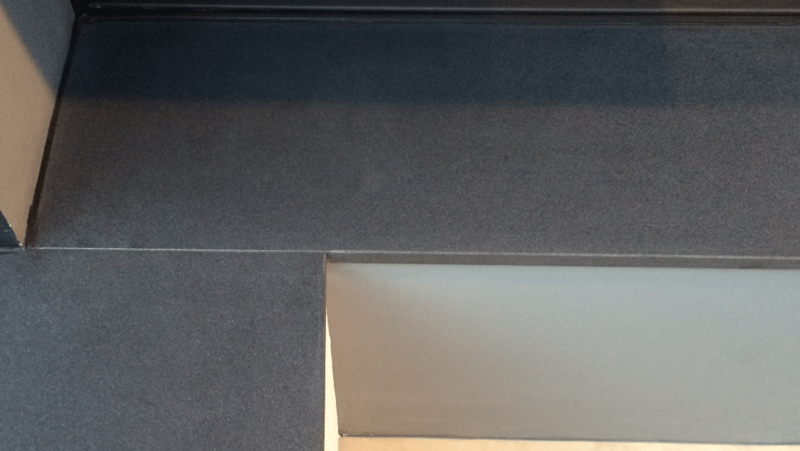 Close up of the stain on the granite. After the polishing and cleaning the stone is back to original look. Close up of the stained area after the work is done.